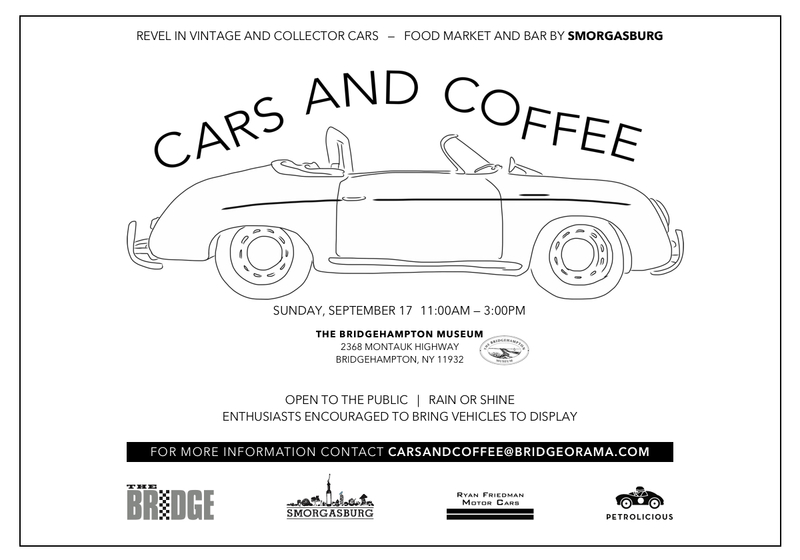 It is my pleasure to cordially invite you to the inaugural Cars and Coffee in Bridgehampton, New York, on Sunday, September 17 from 11 a.m. until 3 p.m., in the center of town -- at and behind the Bridgehampton Historical Society, 2368 Montauk Highway. We have great partners for the event -- Petrolicious is providing our exclusive media coverage, Smorgasburg (of NYC) has curated an excellent market for lunch and a bar, and Ryan Friedman Motorcars will be there as well. As many know, we created The Bridge last year at the former Bridgehampton Race Circuit, which takes place every year on the second Saturday following Labor Day weekend. As The Bridge is a private, invitation only event, creating Cars and Coffee was our way of including everyone who loves these four (and two) wheeled machines. 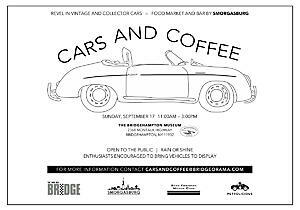 Many of the fantastic -- and rarely seen in public -- cars from The Bridge will also be on exhibition on Sunday. Rally Hampton will be conducting a rally at 9 a.m. that ends right at Cars and Coffee at 11 a.m. I hope that you can make it -- and please note, this is a family friendly event.